This session stimulates Beta, SMR and Alpha to train your brain for better cognition, such as clearer and faster thinking. 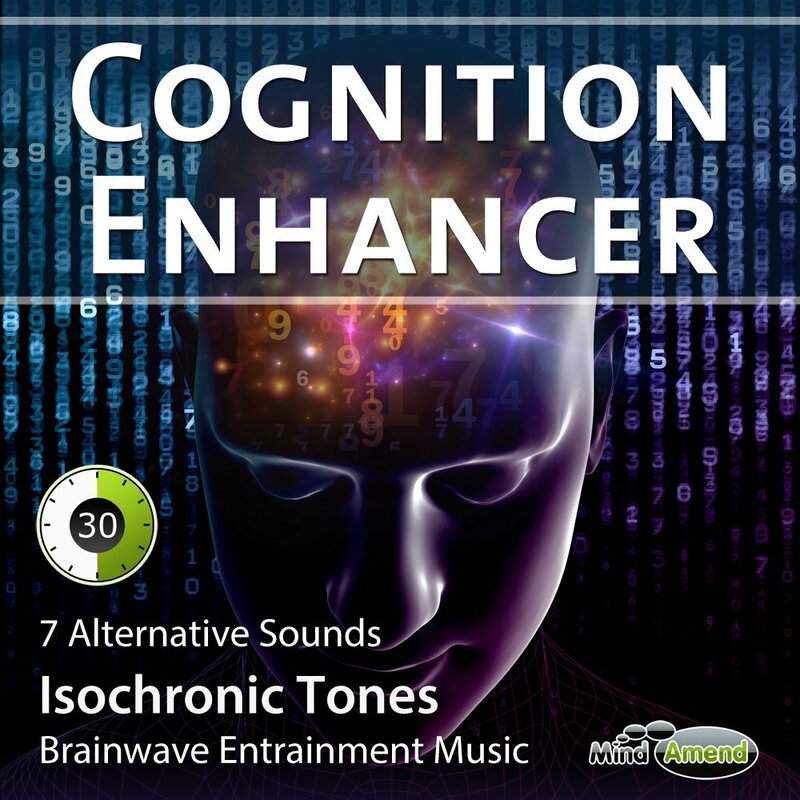 You can now get an extended 3 hour version of Cognition enhancer here. Use this isochronic tones session in the morning or afternoon, to train your brain for better cognition, such as clearer and faster thinking. You can also use it while you are studying or working on a mentally taxing activity. This session stimulates Beta, SMR and Alpha, alternating in 2-minute increments to help keep the user relaxed and engaged. Sensory Motor Rhythm (SMR) is a brainwave rhythm in the range of 12-15Hz of amplitude. SMR is associated with a relaxed but very focused state. It's designed to speed up the brain while keeping the left hemisphere dominant (good for attention, concentration and reducing emotional response and hyperactivity). The session begins with 1 minute of 10Hz in alpha for both ears. It then ramps up to a higher beta frequency where it holds for 2 minutes, before ramping down to stimulate 10Hz in alpha again. The cycle is then repeated throughout the track. You will notice that the frequency sent to the right ear (which stimulates the left brain) goes up higher than the left ear (which stimulates the right brain). This is done to help speed up the frequency of the brainwave activity in the left brain. As the cycles progress, the frequency of the tones at the top in beta also increases, with the last cycle at the end being the strongest. 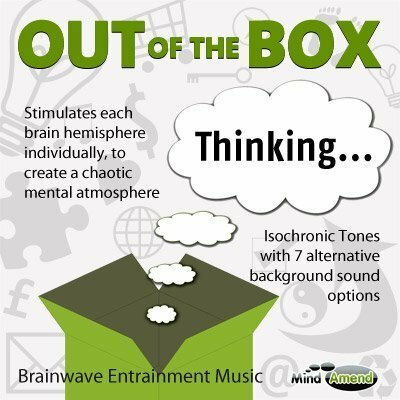 A snapshot of how the frequency of the isochronic tones session is structured. Click the image to make it larger. 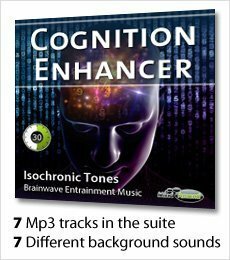 To give you more variety when using this entrainment session, I've created 6 different versions of the Cognition Enhancer session. 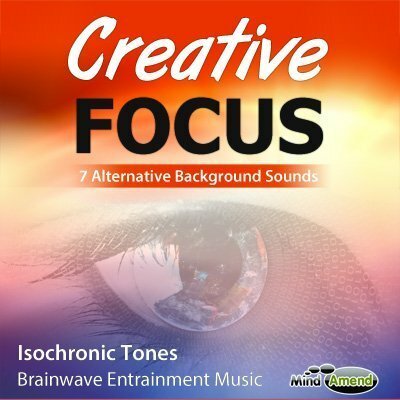 The Isochronic Tones frequencies are the same on each Mp3, but the background track is different. This way you can select which background sound suits your mood. Preferably, this session should be listened to in the morning or afternoon, but no later than early evening. If you listen to this too close to bedtime, it may keep you awake. 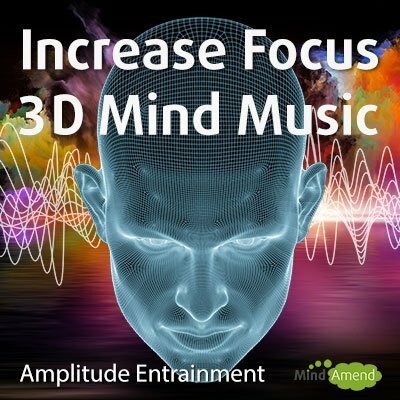 As this session stimulates the right and left hemisphere of your brain separately, you must listen to this session using headphones. Most normal headphones will do, as you don't need anything top of the range. Either the small ‘in-ear' earphones or the bigger ‘over ear' headphones are fine. 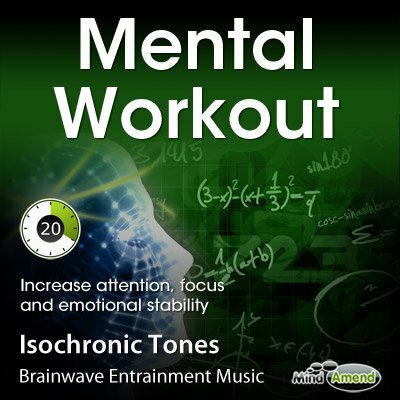 The most important thing is that you're able to hear the Isochronic Tones/beats in each ear. 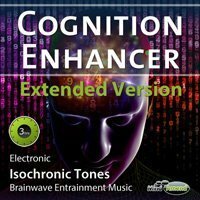 You can now get a new 3 hour extended version of Cognition Enhancer, which can be useful for those long study sessions. The extended version is currently available with the ‘Electronic' background sound.